Ever google yourself? Oh. Right. I’m not supposed to admit it. Anyway, below is a shot from the Naples News in Florida. 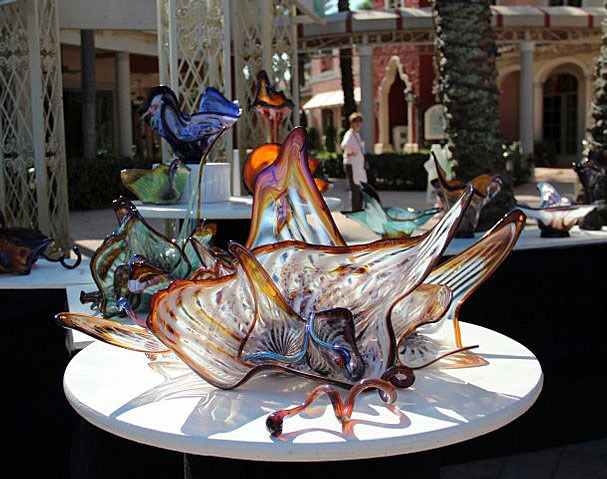 Seen here is my work at the Bonita Springs National Arts Festival where I placed first in glass last Spring. The grouping in front, “Stria Biance”, is one of my favorite series. A departure from my bold palette, this piece is strikingly shell-like.